Ashtapad Overseas is one of the most respected global piping system material like API 5L X42 PSL1 Pipe exporter, supplier, stockist & importer, focus on supplying chain services for piping system projects of Oil & Gas transportation, Refinery & Chemical, Marine & Offshore, Platform, Nuclear & Wind Power markets. Ashtapad is a family corporation grounded in hard work, integrity and trust, values integral to all we do. Throughout more than 15 years efforts in the international markets, Ashtapad has successfully entered into Mid-east, Australia, America, Africa and Europe markets, providing piping system materials and serving for CNPC, ARAMCO, KOC, CCC, NIOC, CHEVRON, LINDE, PEMEX, FLUOR, NNPC, SONATRACH, TECHNIP, PETROFAC, PETRONAS, PDVSA, SHELL, BP, etc. Ashtapad can supply API 5L X42 PSL1 Pipe/ ERW/ SAWH/ SAWL/ Coil Tube Linepipe with 3LPE/3LPP/2FBE Coating. Ashtapad can offer you a quick delivery time and package service for your on-going project. 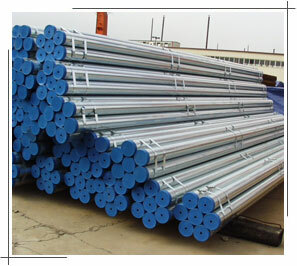 Ashtapad also offers a wide range of API 5L X42 PSL1 Pipe, 316 Seamless Tubing, 316 Seamless Pipe, ss 316l Seamless Pipe, 304 Seamless Tube, 304 Seamless Stainless Steel Tubing & Hydraulic Tube etc. We can meet most ASME, ASTM, AMS, and military specifications, and can cross-reference to most international standards, including full DIN 3.1b, full 3.1/3.2 Certifcation and NACE requirements. The quality level of all Steel Line Pipe, API 5L X42 PSL1 Pipe is guaranteed by a complete internal Quality plan and certificating under ISO-9001, TUV (according to AD 2000-Merkblatt W0/TRD100), API, PED (accordance with Pressure Equipment Directive 97/23/EC), Burst test (Det Norske Veritas), and certainly Lloyds and Stoomwezen. 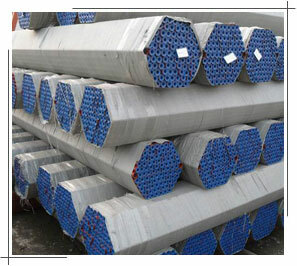 Usually API 5L X42 PSL1 Pipe are supplied as hot rolled. Only tubes with DN 6 -10, perhaps tubes of other dimensions are supplied as cold drawn and after forming they are heat treated. This is done as per precious agreement. The tube surface meets corresponds to the means of manufacturing. API 5L X42 PSL1 Pipe are tested according to requirements of the appropriate standards. In all ceases the tube leaking test is performed. 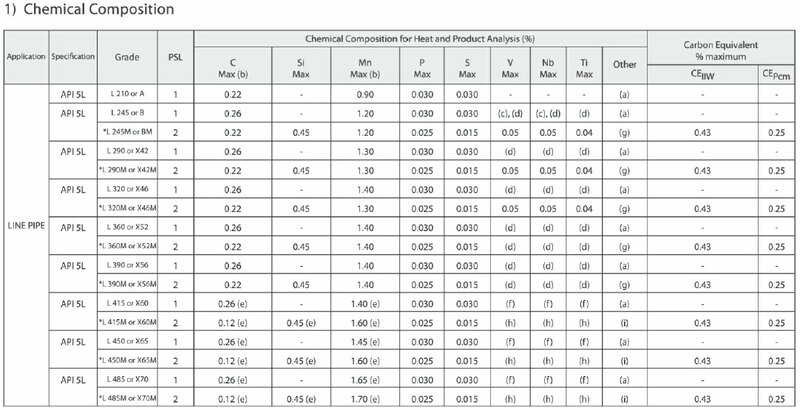 Tubes meet the directive requirements NACE MR 0175. covering resistance to acid environment (SSC – Sulfide Stress Cracking). When ordering the tubes it is possible to agree upon the carbon content value (CEV). We are exporting API 5L X42 PSL1 Pipe to more than 40 countries like UAE, EGYPT, TURKEY, Singapore, Malaysia, Iran, Iraq, Saudi Arabia, Bahrain, Qatar, Yemen, Kuwait, Argentina, Palestin, Algeria, Italy, Tunisia, Oman, Mauritania, USA, Bangladesh, Lebanon, Canada, Vietnam, India, Sudan, Syria, Morocco, Libya, Jordon, and many more..
We also have our sales representatives to understand the requirements of our clients, we maintain ready stock of API 5L X42 PSL1 Pipe in cities like Abu Dhabi, Riyadh, Manama, Muscat, Doha, Dubai, Damascus, Khartoum, Beirut, Jeddah, Aleppo, Alexandria, Algiers, Amman, Mosul, Cairo, Baghdad, Dammam, Casablanca, Basra, Mecca, Tripoli, Rabat, Sana’a, Arbil, Hilla, Port Said, Marrakech, Medina, Al Hudaydah, Omdurman, Damietta, Homs, Kafr Dawar, Benghazi, Fez, Bahri, Nouakchott, Sulaymaniyah, Safi, Zarqa, Oran, Kirkuk, Ismailia, Tunis, Agadir, Tangier, Sharjah, Shibin El Kom, Misratah, Matrah, Aden, Najaf, Karbala, Latakia, Sousse, Meknes, Gaza, Fallujah, Aswan, Kassala, Al-Ubayyid, Sohag, Kuala Lumpur, Penang, Kuching & many more.. Tags: API 5L X42 PSL1 Pipe, best quality API 5L X42 PSL1 Pipe, wide variety of API 5L X42 PSL1 Pipe, API 5L X42 PSL1 Pipe India, API 5L X42 PSL1 Pipe distributor Mumbai, API 5L X42 PSL1 Pipe traders, prime quality API 5L X42 PSL1 Pipe, API 5L X42 PSL1 Pipe exporter, Source for API 5L X42 PSL1 Pipe, specialize in API 5L X42 PSL1 Pipe, API 5L X42 PSL1 Pipe with Test Certificate, API 5L X42 PSL1 Pipe manufacturers, API 5L X42 PSL1 Pipe manufacturer & suppliers, API 5L X42 PSL1 Pipe importer, API 5L X42 PSL1 Pipe dealers, API 5L X42 PSL1 Pipe mill, API 5L X42 PSL1 Pipe price, API 5L X42 PSL1 Pipe ready stock, API 5L X42 PSL1 Pipe urgent requirement, API 5L X42 PSL1 Pipe Turkey, API 5L X42 PSL1 Pipe UAE, used API 5L X42 PSL1 Pipe, API 5L X42 PSL1 Pipe manufacturing process, Suppliers of API 5L X42 PSL1 Pipe, Brand Steel Pipes stockist, send your API 5L X42 PSL1 Pipe requirement to our Mumbai, India office by email ashtapad@vsnl.net, ISO 9001, ISO 14001, OHSAS 18001, PED certified & Government Recognized Export House, Click here to send us your requirements of API 5L X42 PSL1 Pipe. 200+ tons in ready stock, order small (1 piece) or large quantity.